Yes, ULMB can be turned on/off. The strobe backlights on the 240Hz are usually brighter than the strobe backlights on 27" and 165Hz, though this is not a hard-and-fast rule. Chief Blur Buster wrote: Yes, ULMB can be turned on/off. I forgot about this. I never had a monitor with ULMB, so I don't know what to expect. I bought the Acer XB271HU. I hope the ULMB works fine! cacs1985 wrote: I forgot about this. I never had a monitor with ULMB, so I don't know what to expect. I bought the Acer XB271HU. I hope the ULMB works fine! ULMB works at 85Hz, 100Hz and 120Hz on that monitor. Note that it's an IPS panel, so there's going to be some crosstalk in ULMB mode (crosstalk is a faint afterimage behind moving objects.) However, IPS also means that the image will be perfectly viewable from any angle. You won't have to be sitting right in front of it to read text on it. I hope I dont regret about the Acer 271hu. I am going to use it right in front of me. People said so many bad things about the LG 27GK750-f 240hz, that I took it off from my list. The AG251FG is a nice monitor, but I think the size wouldnt be as good as a 27" and it is 1080p, so I would have to give up a lot compared to a 27 1440p. I still had the Dell S2716dg to consider (it is1440p and 144hz and ULMB), but it is more expensive than the Acer 271Hu (in my country), which is an absurd, in my opinion. The Dell is still a TN panel with 2015 tecnology! And the Benq 2740 isn't available in my country. I asked Jorimnt how the Acer 271hu worked for him. He said many good things about the monitor, that I felt comftable buying it. I compared some Blur Busters tests: Acer 271HU vs Dell S2716DG vs AOC AG251FG. Of course, Acer lost them all. But is still did a very nice job. I thought that all that would matter for me would be the monitor Hz, but the more I read, more I realized that other monitor's specs would be crucial in my decision making, as ULMB and the frequency to optimize it. Btw, I know there isn´t a perfect monitor. And even if there is one in a near future with these new 2019 monitors, they are going to be 2 to 3 times the price of these monitors in my list. So, I dont know if it would be worth the money compared to the one I chose (For exemple: The Lenovo monitor Chief posted would be perfect for me, but it is going to be somehere in USD1000,00). The ACER I bought was cheaper than the Dell S2716Dg and the AOC AG251FG. And less than half the price of the Lenovo. Last edited by cacs1985 on 17 Jan 2019, 19:17, edited 1 time in total. It's a good monitor. I have one that uses the same panel. I'm just saying that ULMB has more crosstalk on IPS panels compared to TN. That's all. I don't know if you actually need ULMB though. You might be fine with 144Hz without ULMB on the Acer. If you're coming from a normal 60Hz monitor, then 144Hz on the Acer is going to have so much less motion blur in comparison, it's night and day, even without ULMB. Just try it and see, I guess. First time I went from a 60Hz display to a 144Hz one, it felt like there's no motion blur at all. Of course there still is some, which technologies like ULMB aim to remove, but in comparison to a 60Hz display, motion blur is so much lower even without ULMB. It looks so good to my eyes that I actually hardly ever use ULMB at all. cacs1985 wrote: I asked Jorimnt how the Acer 271hu worked for him. He said many good things about the monitor, that I felt comftable buying it. The XB has more ghosting, but it's your choice. 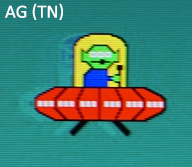 I suppose it will be better than not for your purposes, but I still think TN ULMB would have the edge for your specific needs. Last edited by cacs1985 on 17 Jan 2019, 19:25, edited 1 time in total. Entirely understandable; what's available is what's available. Regardless of whether TN would have an edge, the Acer should be notably superior to whatever you've been using.